Braise the fennel, whisk, add the agar agar, cream, salt and let cool. Dissolve the yeast with warm milk, add 100 g of flour, aside incorporate the remaining flour with the egg yolks, salt, milk, oil and butter. Combine the two mixtures and make a smooth cream. Let it rest for about 15 min. Cut the prawns into pieces and dress them with remaining ingredients. 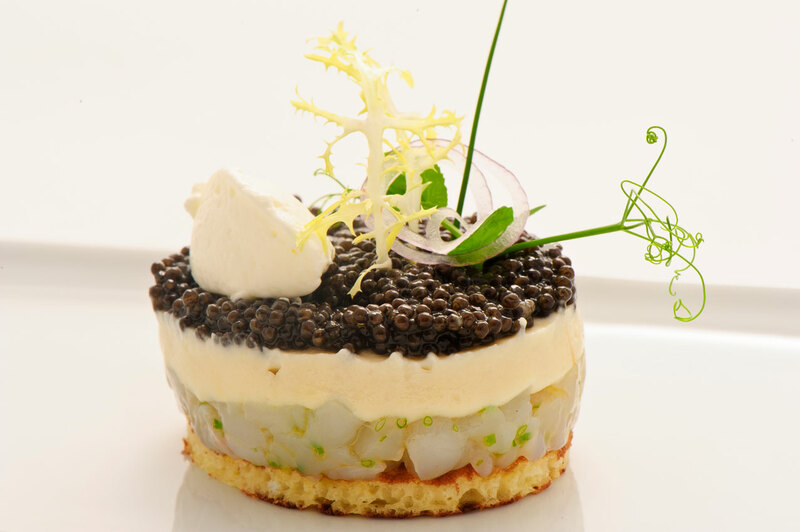 Install everything in layers, using a mold, unmold and complete with caviar and sour cream salad.